Daniel Keatings, Euan Burton and Charlie Flynn were among those involved in the Get Inspired Active Academy which took place last December. 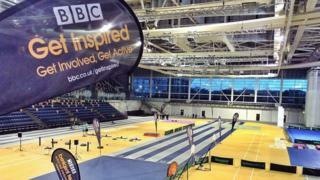 Young people from across the country were invited to the Emirates Arena in Glasgow to get involved in different sport and activity sessions - as well as being able to put their questions to top Scottish sporting stars. Sports included judo, rugby, football, track cycling, basketball, tennis and much more. Healthy lifestyle advice was also on offer at the three-day event. For details on how to get involved in a sport or activity have a look at our Activity Guides.